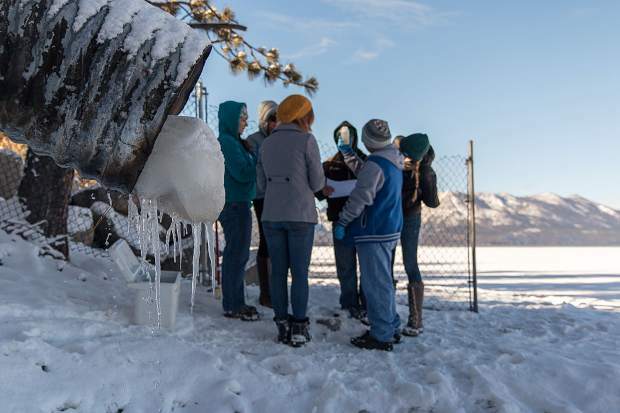 A training for Pipe Keeper volunteers on Dec. 4, 2015 near Fremont Avenue in South Lake Tahoe. With 72 miles of shoreline and flows from more than 150 storm water pipes, keeping an eye on what ends up in Lake Tahoe is easier said than done. For the last five years the League to Save Lake Tahoe, known for its slogan “Keep Tahoe Blue,” has been relying on citizen science to monitor drainage sites and collect water samples around the lake. 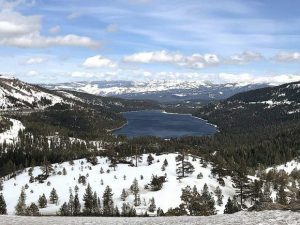 “The goal of the program is to be monitoring as many of these (storm water drainages) as possible,” said League to Save Lake Tahoe Natural Resources Manager Zack Bradford. Lake Tahoe is known for its clarity and crystal blue waters, but when it rains or when snow around the lake melts, the runoff drains directly into the lake and can bring pollutants along for the ride. Bradford said the League, with the help of the Desert Research Institute, identified all of the sites where stormwater runoff flows into Lake Tahoe. 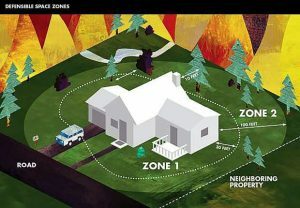 In 2012, the League began training volunteers to help monitor those sites. “We train volunteers to first be aware of storm water-related pollution problems in their neighborhood, and if they’re interested in being more involved we teach them to collect samples and we test them,” Bradford said. Volunteers first become part of a program called “Watershed Watchers,” where they are trained to understand what kinds of pollutants they should look for visibly, and then are assigned a particular drain or pipe to observe and report back. After being a Watershed Watcher, volunteers may become a Pipe Keeper, which is another group that collects water samples for testing and measures water flow in addition to keeping an eye out for pollutants. There are about 20 pipes monitored by volunteers in the program, most of which are on the South Shore. Kings Beach resident Heather Kranz, who began volunteering with the program in February, spends about an hour a week monitoring two sites in her neighborhood. “I walk to my pipe and collect samples from the water coming out of the pipe and water as it enters the lake. I also measure with my ruler the depth of the flow coming out of my pipe,” Kranz said. Once the data is recorded and the sample is collected, Kranz heads to a lab in Incline Village and drops them off. “A few weeks later I get to see what the results of my samples were, which is pretty cool,” she said. Kranz said that seeing the results of what was in the sample is her favorite part. Kranz said she decided to begin volunteering as a Pipe Keeper after the national news events of the past year inspired her to get involved with her local community. Kranz said her mother and sister encouraged her to invest her time in the local community, and that she chose the Water Watchers and Pipe Keeper programs because they were causes she cared about and provided flexibility in her time commitment. In addition to the sense of pride Kranz gets from monitoring her two sites, she said she’s also enjoyed learning more about the local environment. “There was one week in April that there were rivers and rivers going all through Kings Beach (from the snowmelt), and it was pretty amazing to see how our watershed system works,” she said. To learn more about the Pipe Keepers or any of the League to Save Lake Tahoe’s other volunteer programs, visit keeptahoeblue.org/our-work/volunteer.